My youngest granddaughter, Alice, had her 1st birthday last weekend. 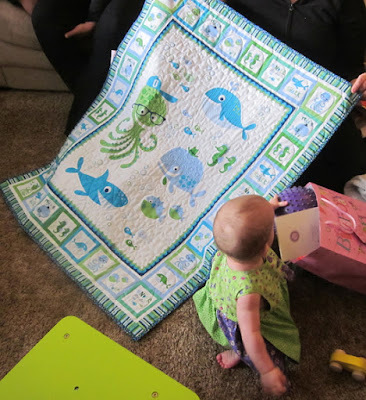 Of course Granny had to make her a new quilt! 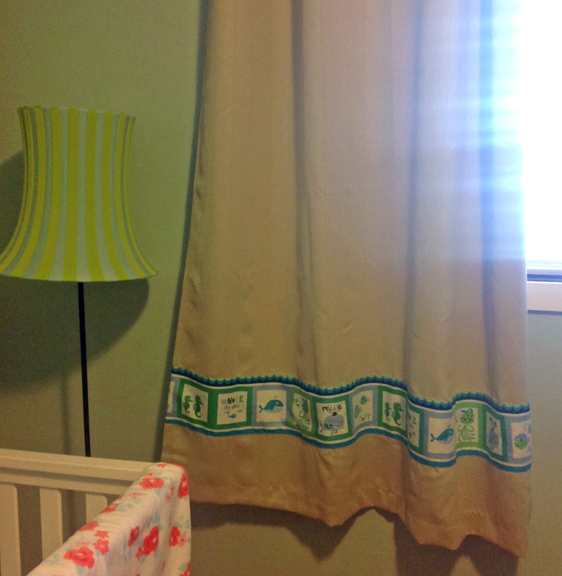 I had already added a border from the coordinating fabric to the curtains in her room. 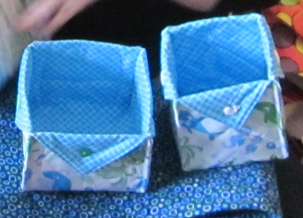 I also made a couple of fabric boxes to coordinate with the quilt. They are a lot of fun to make. Here is a link to the blog where I found the pattern. Can you tell the 'theme' for Alice is whales.....this beautiful cake was made by my daughter's friends who own Cottage Bakery & Cafe in Victoria. 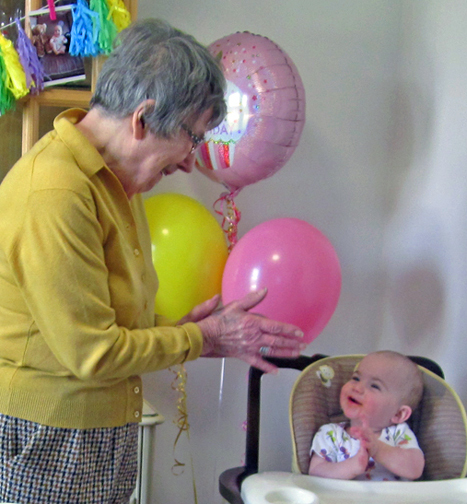 Here is Great Grandmother Jean having a conversation with Alice. 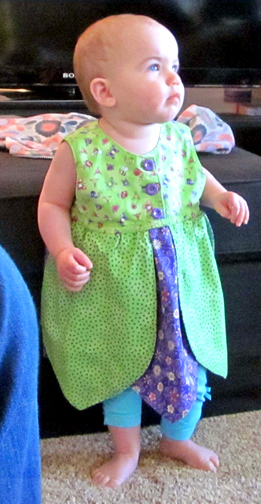 Alice was dressed for the party in the Tulip Dress that I made for my older granddaughter. 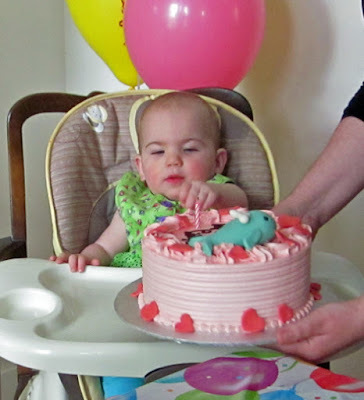 How nice of my daughter to have her wear it for the celebration.